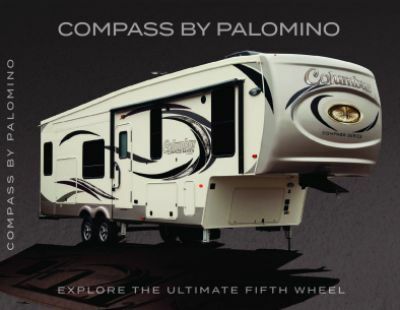 Your outdoor adventure begins here with the 2020 Palomino Columbus Compass Series 377MBC 5th Wheel! All Seasons RV can make your RV dreams come true! Here in Muskegon, Michigan we've been one of the nation's leading full-service RV dealerships thanks to our huge inventory and astonishingly low prices! We're #1 in customer satisfaction, so come in and explore our huge indoor showroom and find the RV that's perfect for you and your family. We're conveniently located at 4701 Airline Rd Muskegon Michigan 49444 and our friendly, knowledgeable staff are waiting to help make your RV dream a reality with great pricing and great financing! Don't live in the Muskegon? No problem! We've got personalized online and phone service and fast reliable delivery anywhere in North America! Give us a call today at 231-739-5269 and we'll make your RV dream come true in no time! You'll be amazed! 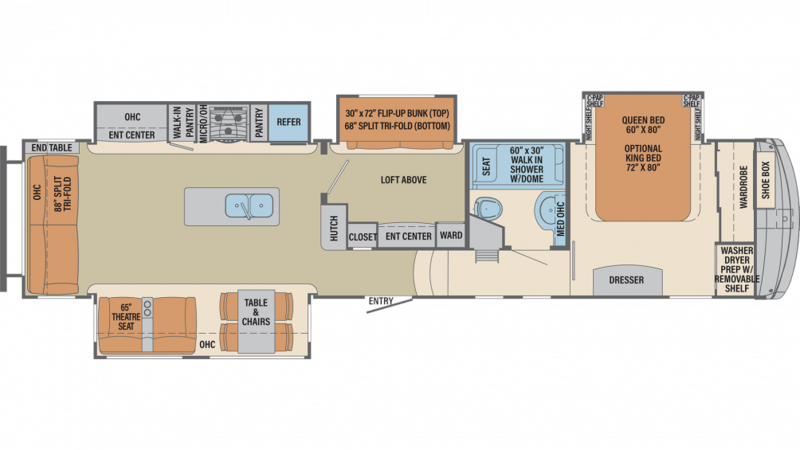 Not only is this RV 42' 1" long and 8' 5" wide, but it has 4 easy open slides that maximize the indoor living area! So when it's too hot to be outside, everyone will still be comfortable inside, staying cool thanks to the efficient 15000 BTU a/c unit or warm and toasty with the modern 35000 BTU furnace! Traveling and outdoor adventures can take a lot out of you, but you'll sleep like royalty at night with the master bedroom's Queen bed! With all of the cozy bedding up to 9 people can find somewhere to sleep comfortably on the trip! Enjoy long, hot showers thanks to this RV's 60 lbs. of LP tank capacity! The bathroom also has a Porcelain Foot Flush toilet, and used water is stored in the 71 gallon gray water tank and the 39 gallon black water tank.